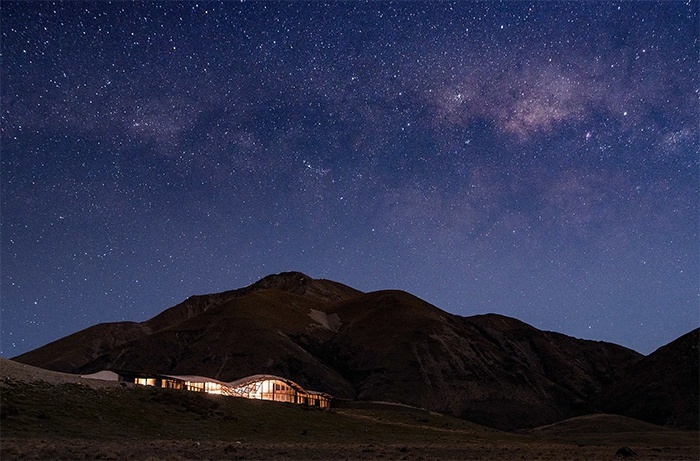 The luxury lodge experience is something New Zealand does exceptionally well. 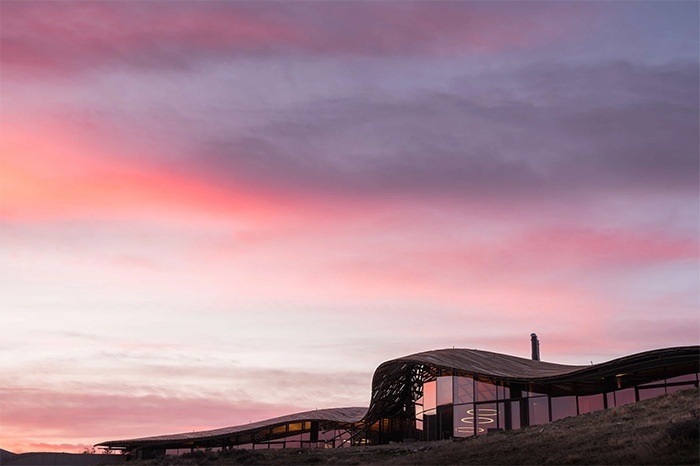 Today, we introduce you to the latest offering that benchmarks this stellar global reputation, New Zealand's newest luxury lodge, The Lindis. The remote Ahuriri Valley in New Zealand's South Island is one of New Zealand's most pristine and awe-inspiring landscapes. 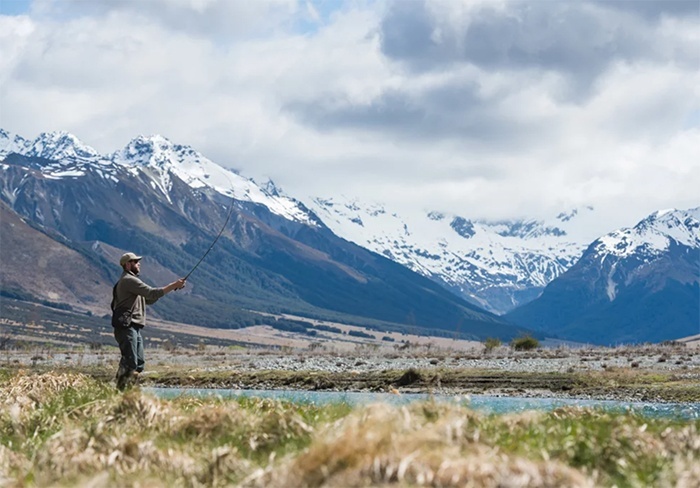 This is the land that time forgot, a world of towering mountains, beech forest and braided rivers abundant with trophy trout. And the grandeur doesn't end when the sun sets - this is known as one of the best places in the world to star gaze, the sky is so clear and so vast. The Lindis is found deep in this valley, within a privately-owned working station (encompassing over 6,000 acres), and surrounded on three sides by protected conservation lands. This is High Country New Zealand at its finest. 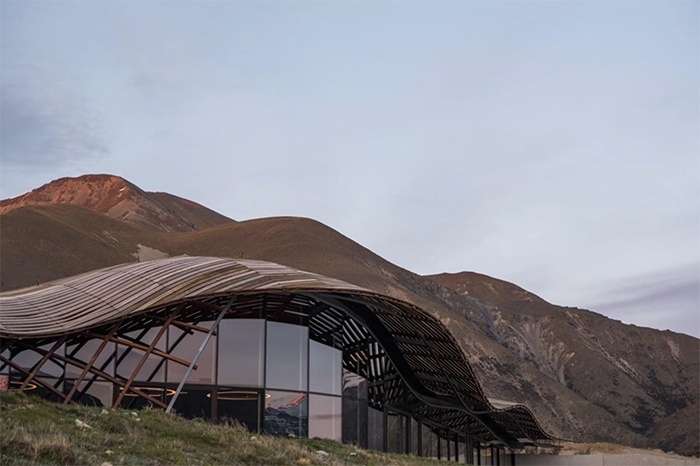 Opening November 2018 for its first guests, The Lindis is a triumph of sensitive modern architecture. Designed consciously to create a sense of belonging in the valley, it features a unique low profile and a seriously spectacular undulating roofline that mirrors the natural curvature of the land surrounding it. The north elevation of the lodge is almost entirely glass, brings those reverential and rugged views right inside for you. 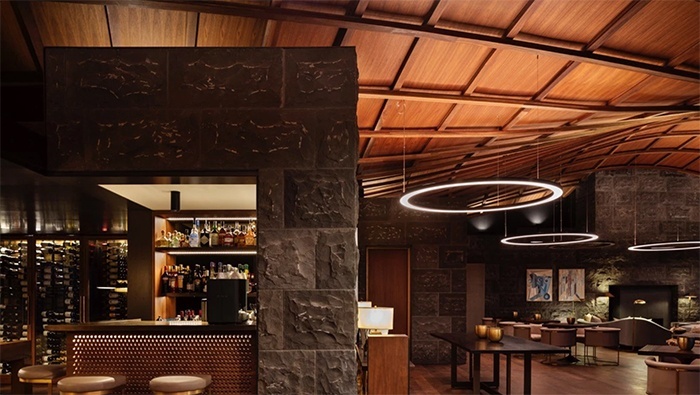 The five individual lodge suites are all positioned along that huge expanse of glass, as is the great hall, lounge and bar. 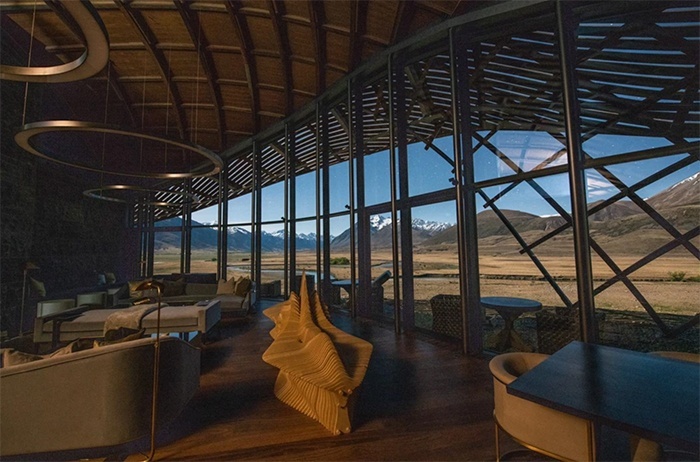 The interior architecture combines the raw natural textures and materiality you might expect of a high country lodge, with an elegant curation of bespoke furniture and contemporary artworks. The result is a modern aesthetic with an intimate, warm feel. Daily menus at The Lindis will present a uniquely New Zealand style of refined cuisine, always paying homage to the abundant local produce. To rev up your appetite for all those gourmet flavours (and the superb New Zealand wine), there's horseback riding, world-class fly fishing, off-road buggy tours, mountain and e-biking, wilderness walks, and internationally-acclaimed gliding (this region boasts a rare combination of the most perfect conditions for soaring, so if you're going to experience a glider flight - this is the place to do it!). 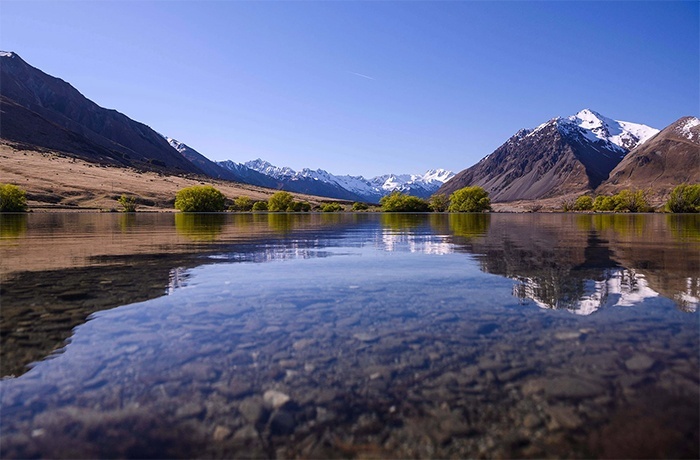 In an ever more stressful, fast-paced world, The Lindis invites you to slow down and enjoy the stillness and beauty of mother nature, in a refined and luxurious setting, all while enjoying the very best of generous kiwi hospitality. To book your stay at The Lindis, contact us at Antipodean Luxury Travel. 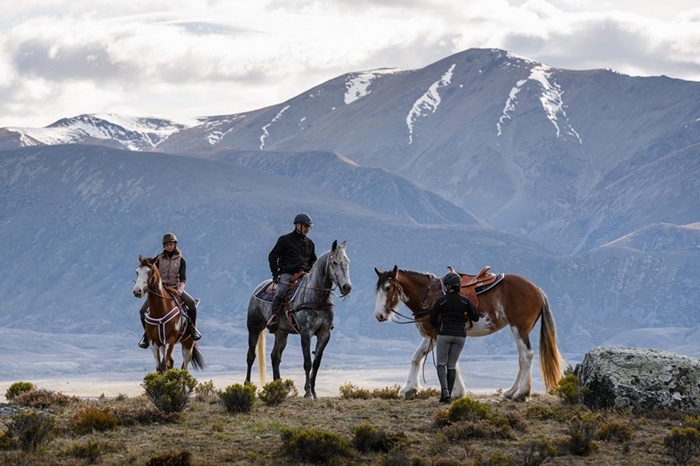 Let us arrange every last detail for you, from luxury transport into the Ahuriri Valley, through to a fabulous itinerary, tailor-made to your interests.